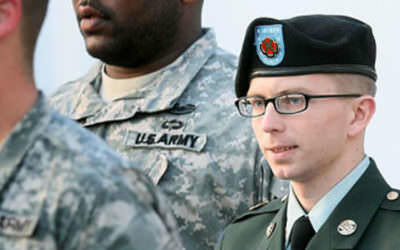 Updates: Chelsea Manning was released early this morning from the Fort Leavenworth military prison! Chelsea Manning, the Army intelligence analyst jailed for her 2010 disclosure of classified information, is free tomorrow. 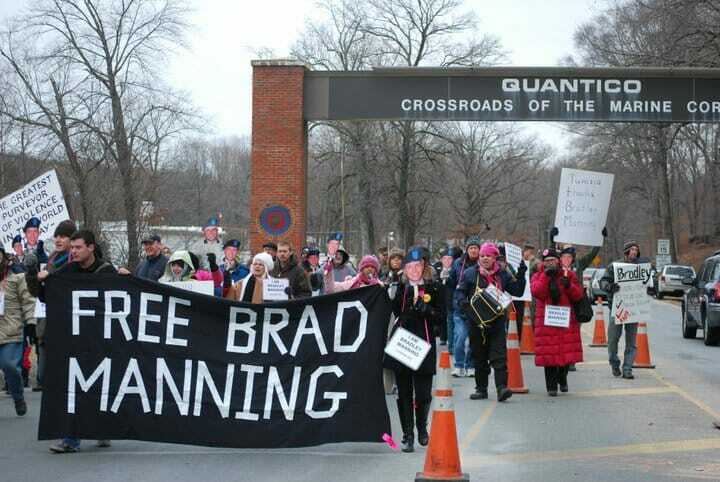 Manning will leave Fort Leavenworth after having been imprisoned for 7 years. She was supposed to serve 35, the longest sentence ever handed down to a whistleblower in the United States, but after an impassioned activist campaign calling for her release President Obama commuted her sentence before leaving office. It wasn’t so long ago that the commutation of Chelsea Manning’s sentence seemed completely impossible. After all, President Obama wielded the Espionage Act more than all his predecessors combined and cracked down on whistleblowers with unprecedented zeal. 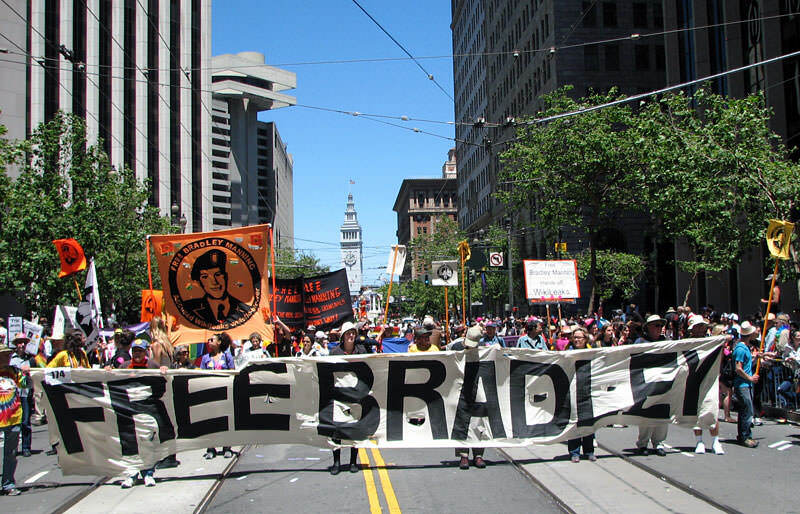 In the end, a group of diverse activists and everyday citizens were able to obtain freedom for one of the most important American political prisoners of all time. 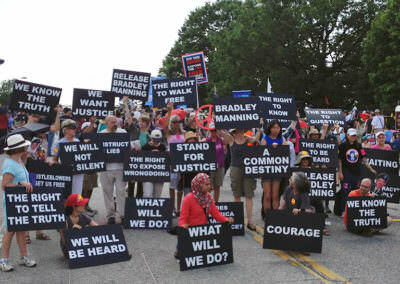 Manning’s case was never all that well known to the public, as the mainstream media never showed much interest in her leaks or ongoing legal battle. 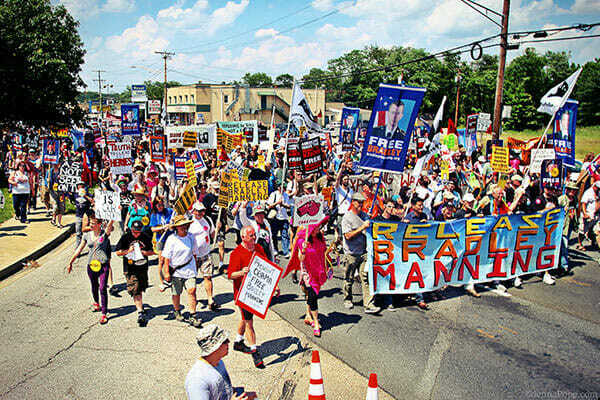 It was up to government transparency and free speech advocates, military veterans, LGBTQ activists, anti-war organizers, a small number of journalists and a group of determined lawyers to raise public awareness of the situation. 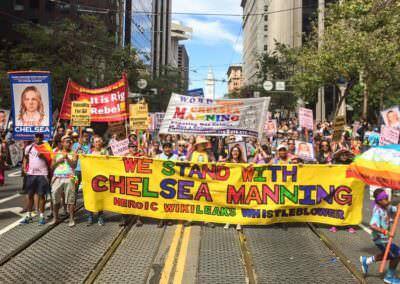 Reflecting on the fight, Rainey Reitman, of the Chelsea Manning Support Network, wrote “It boggles the mind to think how far we came . . . 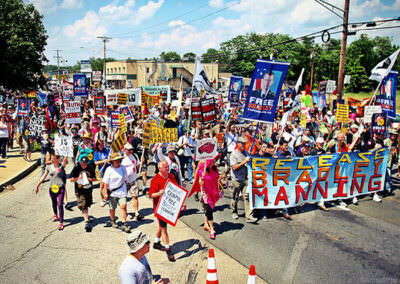 In some ways, we were squaring off against the United States government itself, with its seemingly infinite resources. 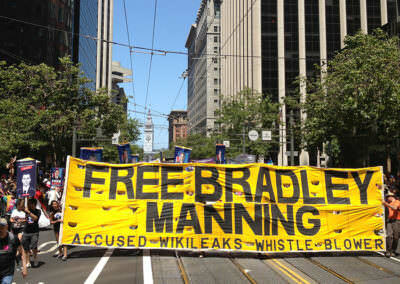 As the trial dragged on for years, we had to fundraise for every dollar to cover legal fees, buy supplies to send mailings, and pay a pittance to a small group of overworked, dedicated, wonderful organizers who used every scrap of bravery and creativity imaginable to advance the public’s knowledge of Chelsea Manning.” The Support Network first started pushing for President Obama to pardon Manning in 2013. 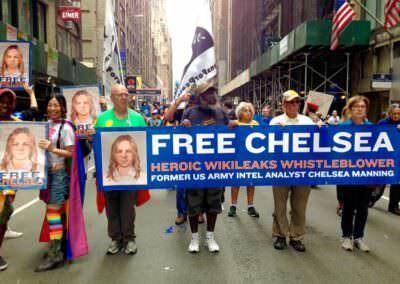 The Chelsea Manning Support Network was created shortly after Chelsea was arrested. 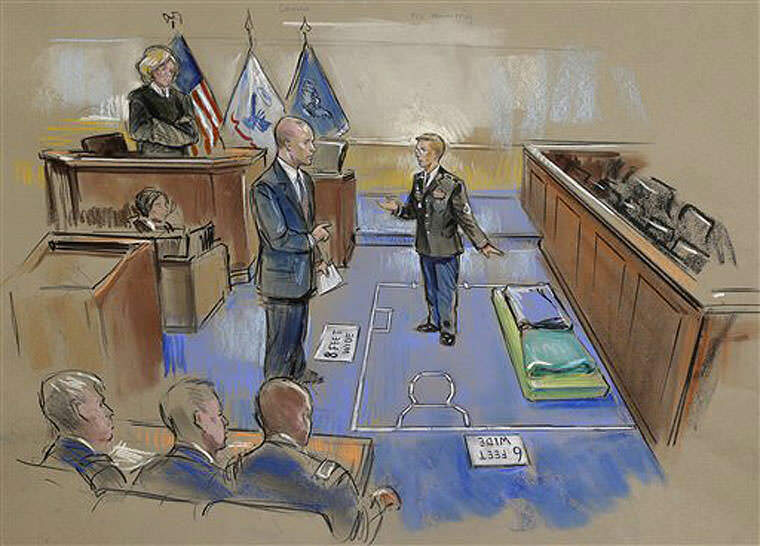 It covered all the legal fees connected to her pretrial hearing and court martial trial. It also raised significant sums of money to assist in her appeal. By the end of the campaign, over 30,000 individuals donated $2 million to Chelsea’s defense. 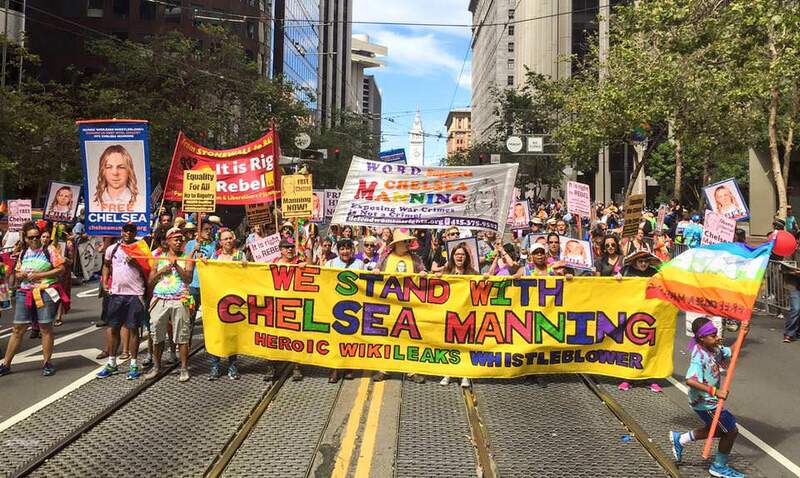 As of today, over $140,000 has been contributed to the Chelsea Manning Welcome Home Fund, hosted by her attorney Chase Strangio. That money will be Chelsea’s to start her life anew. 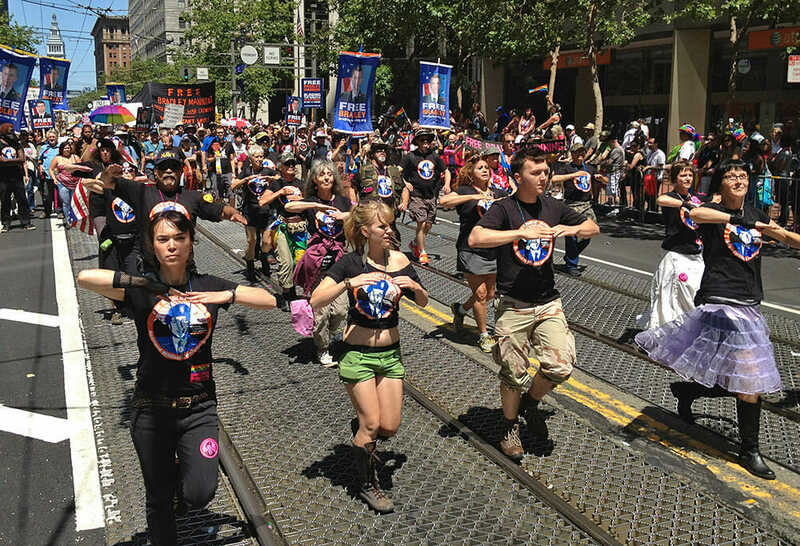 Activists drew attention to the cause through actions and protest. 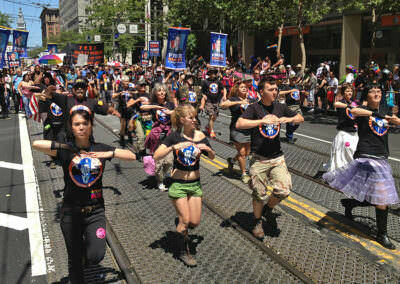 Hundreds of rallies were held throughout the world, ads were taken out in major papers, billboards were rented near her trial and prison, contingents marched in solidarity with Manning during pride parades around the world, and supporters packed the military court room, even as the court martial proceedings dragged on for months. 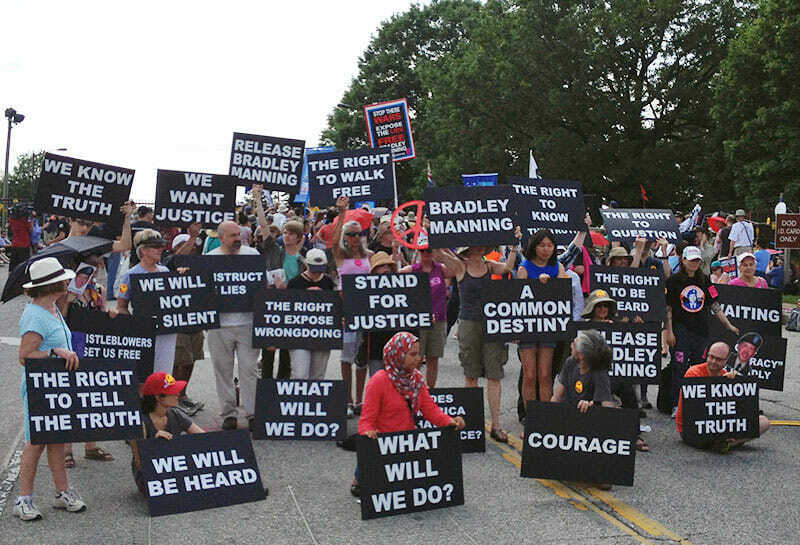 Shortly after Manning attempted suicide in 2016, groups dropped off 115,000 petition signatures at Secretary of Army Eric Fanning’s office condemning the new round of charges that had been leveled against Manning. Organizing clearly pushed Obama to his decision. 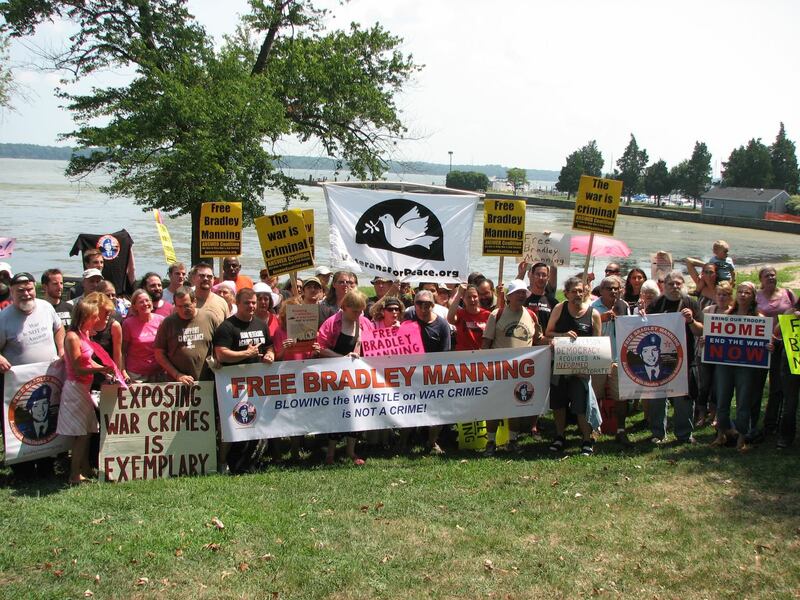 This is not only a massive victory for Manning and her supporters, it’s also an important symbol of what is possible if people join together and demand accountability from their elected officials. 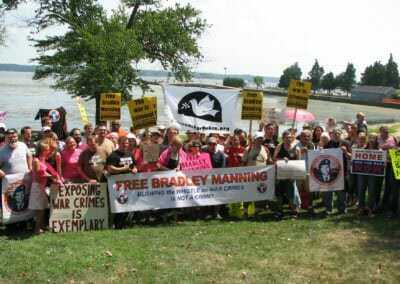 “The most positive thing I will remember President Obama for is the release of Chelsea Manning. On the day she was sentenced it seemed like she would spend a lifetime in prison. I am looking forward to celebrating her release when it really occurs. 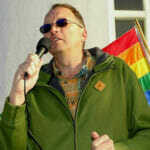 That will be a good day for justice,” stated Kevin Zeese, a Support Network organizer. 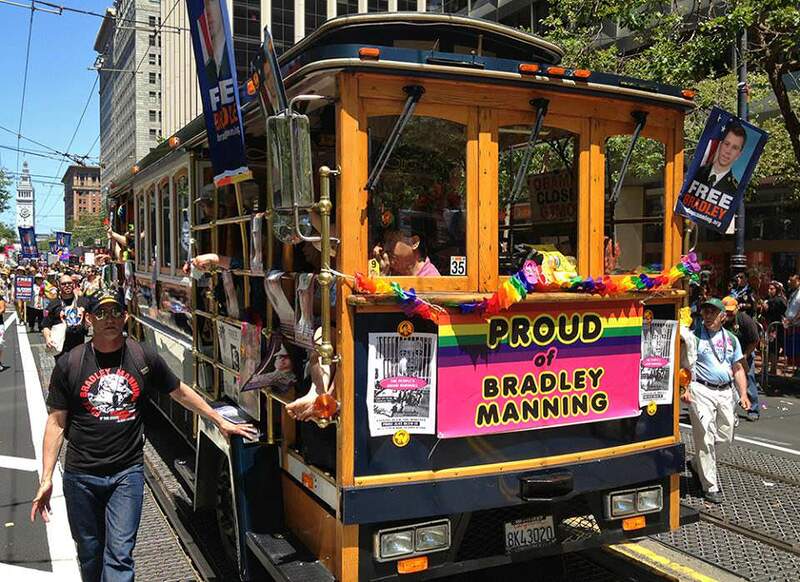 The political landscape was much different when Manning went to jail. She is now being released into a country run by Donald Trump, a man whose entire political career appears to be a massive conflict of interest. 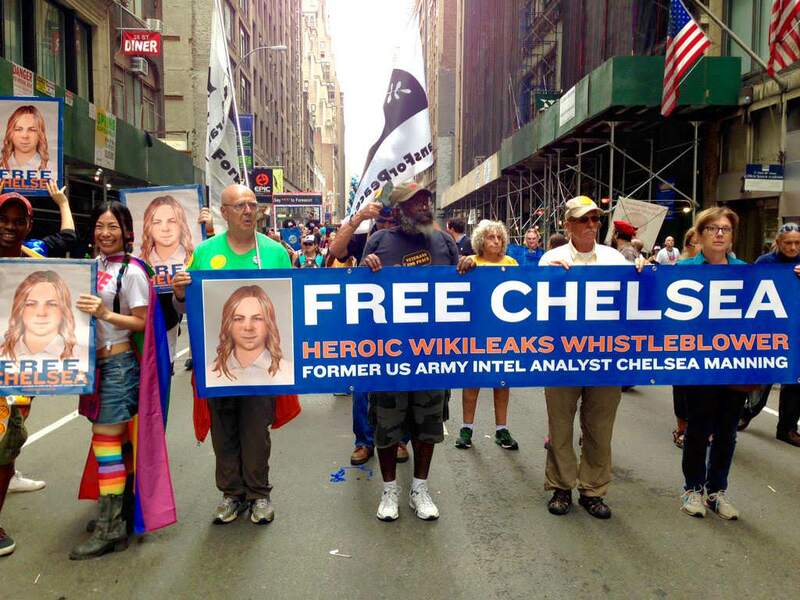 We need whistleblowers like Chelsea more than we ever have before. 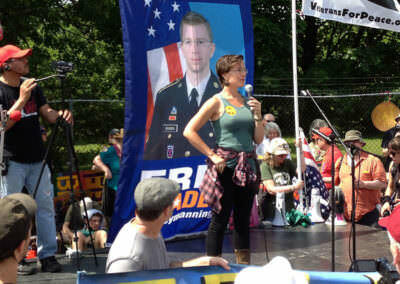 Emma Cape was the Campaign Manager of the Chelsea Manning Support Network. 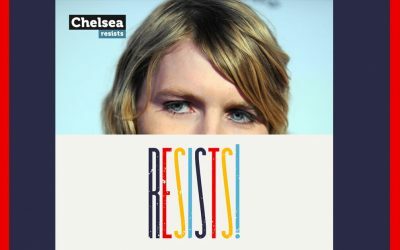 In this podcast, she shares her experiences over years working with Chelsea and building a campaign that would lead to her release from prison. Chelsea shares her first portrait photo, while supporters gather worldwide to celebrate her hard won freedom. 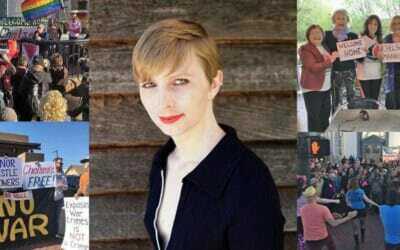 Confirmed: Chelsea Manning has been released from prison! 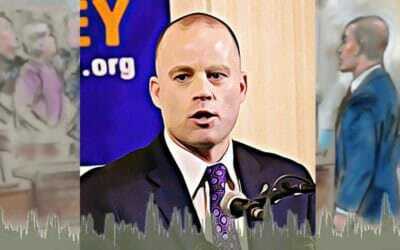 In this podcast, lead court martial defense attorney for Chelsea Manning, David Coombs, reflects on the case, working with the Support Network, and her release this week. On Wednesday, May 17, Chelsea Manning will walk out of Fort Leavenworth military prison a free person. 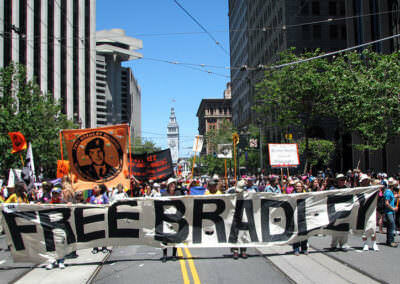 She has served seven years behind bars, more than any whistle-blower in American history. This question has come up, so thought it’s worth clarifying. Chelsea will technically remain an active duty soldier in the US Army for some time to come. She will be on unpaid “appellate leave.” Chelsea has a pending appeal before the US Army Criminal Court of Appeals (ACCA). This first-level of appeal (following a court martial conviction) is automatic, and apparently, can not be waived. Concerns about Chelsea continuing to be subject to the Uniform Code of Military Justice are not without merit. However, she should be able to go and do whatever she likes–although she might want to avoid any public speaking outside of the United States per UCMJ restrictions. Once ACCA reviews the case, Chelsea will be discharged, regardless of their findings. 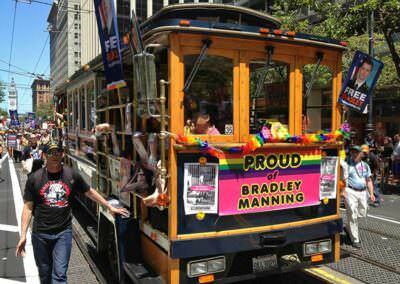 Jeff, congratulations for all you’ve done on behalf of Chelsea Manning and GI resisters. 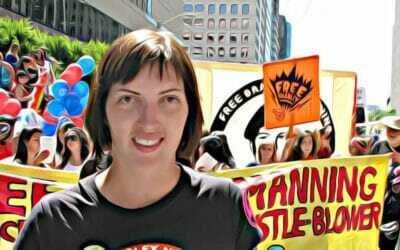 May Chelsea enjoy a wonderful homecoming and a long, happy, FREE life! 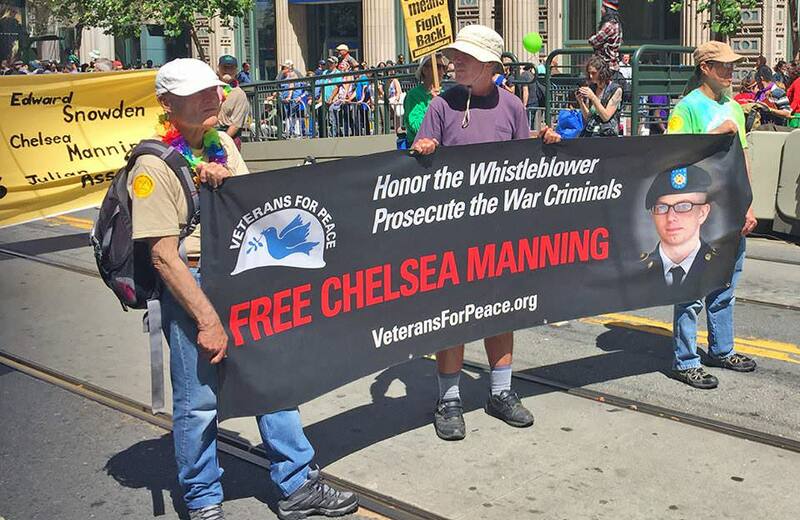 Thank you to everyone who has fought for Chelsea to be freed! 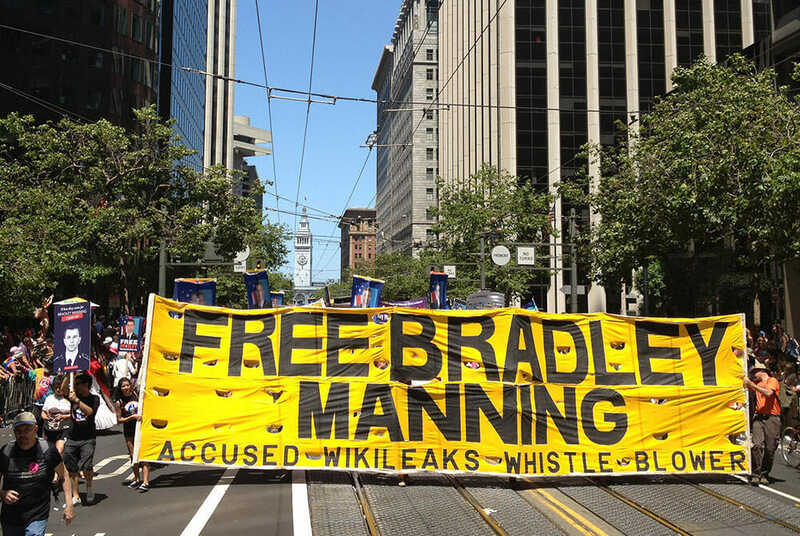 In addition to the pressure brought to bear by Chelsea’s legion of supporters, Obama’s abysmal record of prosecuting whistle-blowers after promising “transparency” came into play in the lead-up to the commutation. In an effort to blur the record of Espionage Act prosecutions, Obama acts to construct a legacy as a good and just man. Hence, the commutation of Chelsea’s outrageous sentence. Chelsea is the good and just woman, Obama the “war president” with the Nobel Peace Prize. I wish Chelsea well in every way. I don’t know where to write to here any longer. She deserves a whole lot of restitution. 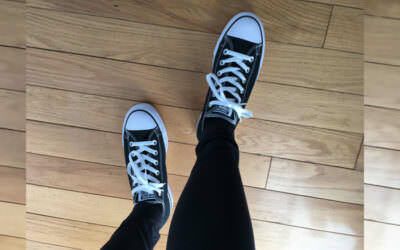 Have a good life, Chelsea! So happy for Chelsea. 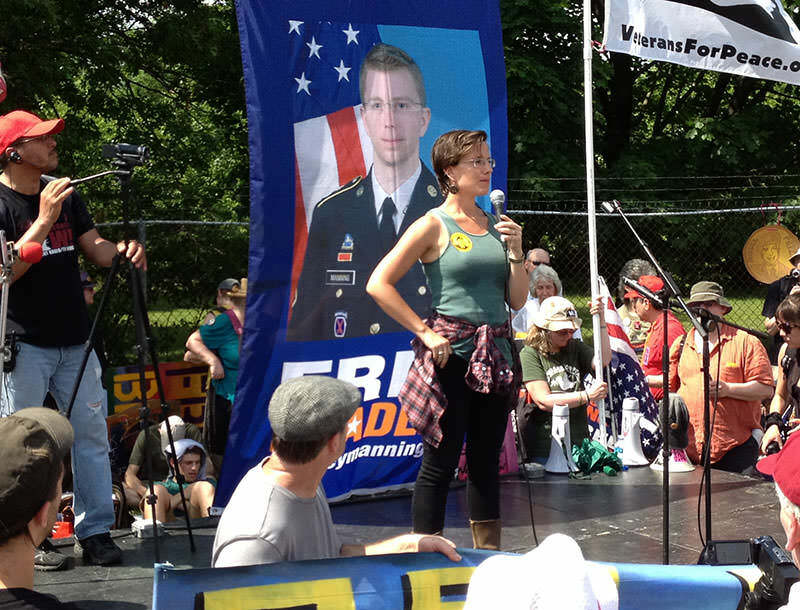 A true hero like Snowden, the world owes her a debt of gratitude for her courage to observe and respect her integrity. Her (ill) treatment proves that the army corrupts human beings, tnat there is no justice in their ranks. It is painful to realize this is a system run amok w/out control from those supposed to protect us. I trust those guilty of her human abuse will be brought to justice; if not there is no reason left in the country to respect any rule of their so-called law. Chelsea upheld her oath to the constitution, sthg that has apparently become illegal. 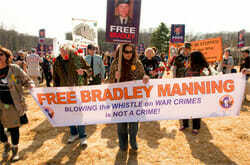 The whole circus she was exposed to was for the purpose of covering up the army’s sick, psychopathic, rotting system. A system however kept in place by ppl like Chelsea who support it by joining. And they want Snowden and Assange to go to the US to face a ‘fair’ trial? Clinton is a morron for uttering those words, it doesn’t take a rocket scientist to understand the odds after witnessing Chelsea’s treatment. Thank god Snowden and Assange have a good functioning brain on their shoulders. We need more like them. i trust Chelsea will be able to start a new life, who knows what ripple effect her experience could produce. All the best, peace of mind and heart to her, she remains a hero. YEAH! 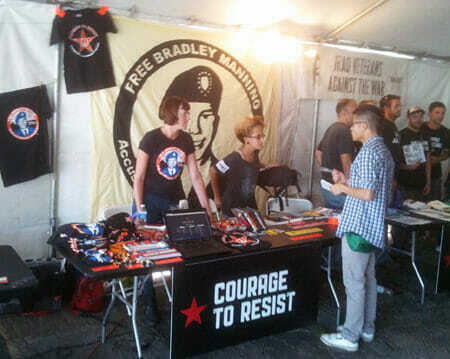 Thanks to all at Courage to Resist and the Manning Support Committee for the years of work. OUTSTANDING! At last we have some justice.